Denise is doing fine. She is stubborn and intrepid enough to have overcome a brutal chest cold. That’s a hard way to start. Okay now that I have been out here for a full week here is what I think. 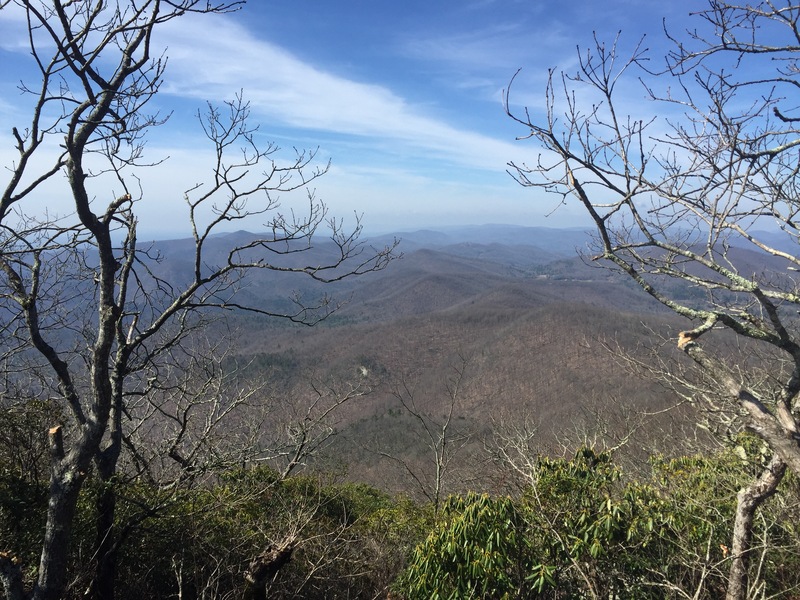 View from the top of Blood Mountain. I am a complete bi-polar hiker. My mood can change drastically minute to minute based on the littlest of things such as my energy level at particular moment, the weather, the terrain, the slope, how long since I last ate, how cold my water is, and most importantly how much my feet hurt. Towards the end of the day my feet always hurt.